The Lingua Franca Foundation has whirl pooled yet another one of its activities. As the Foundation wears many hats, it is crucial to crystallise some of the lot on the plate. 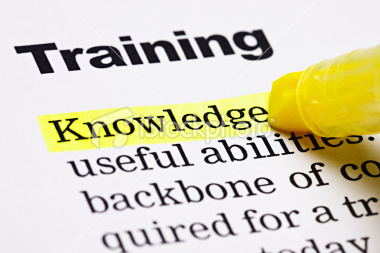 As to that, the Foundation is now exercising its mother wit by squeezing out the language lime to suit our important clients more than 100 hours worth of training each ! This tailored language course focuses more on the trainees’ Achille’s heel. As a trainer, I have constructed a special test to determine the trainees’ level of language comprehension. After the assessment, the trainees are then being drilled intensively according to their level of understanding and capacity to learn- taking into account their personal ability, character, background and culture. Each learning scheme is uniquely design to fit the dress of the wearer. After two consecutive months of intensive training with two different trainees, I honestly discovered that all roads lead to Rome. It is not at the end of the road yet, nevertheless, so far as I can tell, it has been a very fruitful journey for both the trainees and the trainer. Do you plan to apply for a job in Europe ? Or to study in Europe ? Or simply to improve your level of language ? Today, we offer you a free and very handy downloadable tool ! This is the self-evaluation grid that experts designed for the European Common Frame of Reference for Languages. It allows you to self-evaluate your skill levels in any language. So, before you subscribe for a language course or move to any European country, you can read the different items related to the level of understanding, speaking and writing skills. Italian : I can understand the main points of a clear standard speech, I can write standard business letters, and I can take an active part in familar professional context. Doesn’t it sound more professional ? 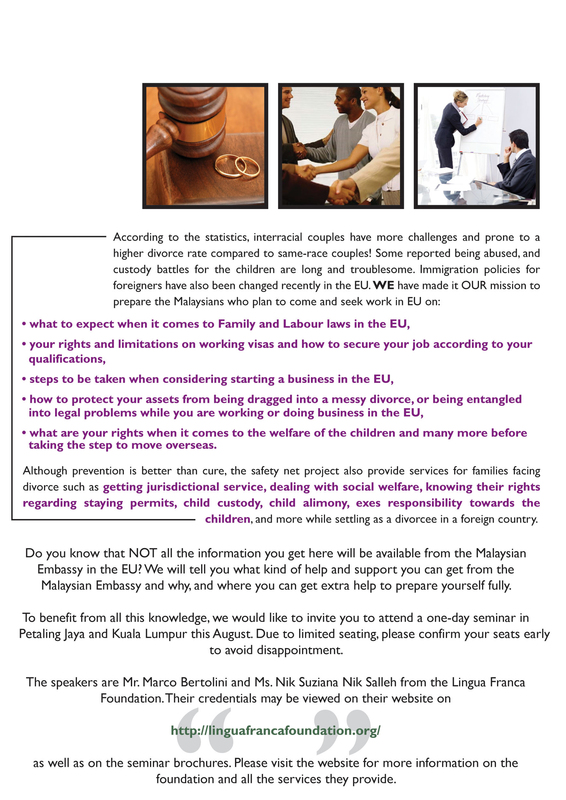 You can read, dowload, share, print and embed the following document. For a more comfortable reading, click on fullscreen and then adjust the zoom by clicking on the magnifying glass below, on the left. Discover how you can improve your study skills with mind mapping ! 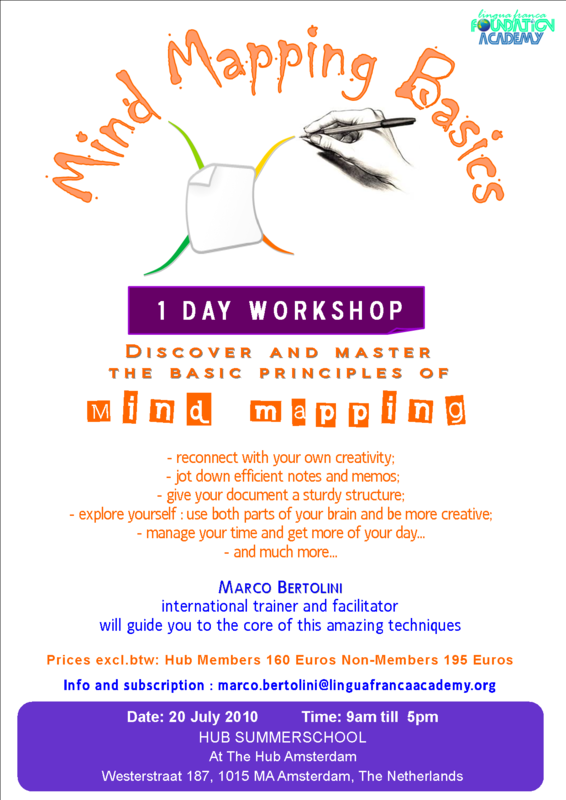 Marco Bertolini proposes you a new workshop in the Hub Brussels : Mind Mapping Basics for Students. This is all about how to improve your study skills by using the mind mapping techniques and an opensource mind mapping software : XMind. Summarize books and documents, take better notes, give a better structure to your assessments, improve your memory, prepare oral and written examinations, and much more. Which is a opensource mind mapping software that you can use during and after the workshop. Let’s discover how to organize things and events with the time and tasks features of this amazing sofware ! Bring along your laptop and we will give you the program for free ! (Marco Bertolini has been working as a trainer and human resources consultant for more than 20 years. 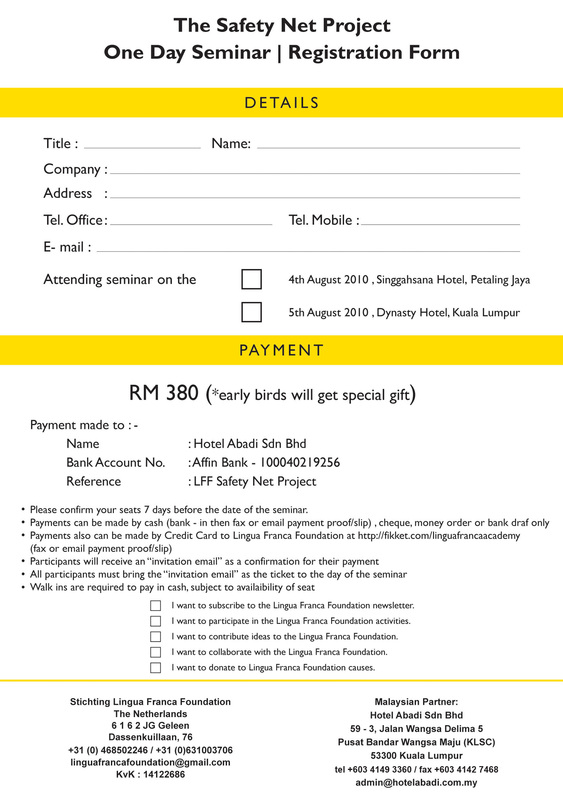 Now,co-founder of the Lingua Franca Foundation, he dedicates his time and passion to innovative training methods such as mind mapping, visual thinking, framegames, etc. He applies these awesome techniques to job search, business set up and learning efficiency. He is also a member of the team which is currently translating the XMind software into French). Discover also our conference on this subject ! Improve your study skills with mind mapping ! How can mind mapping help you to succeed with your studies ? What advantage can visual thinking tools give you ? These are the themes we will explore through a conference and a workshop at the Hub Brussels in September. Firstly, let’s focus on the conference. People usually say that we use 10 % of our brain capacities. That is totally untrue. The brain is an awesome organic machine that brings to work millions of neurones at the same time. But we use it in different ways according to our genre, our age, our culture. And we can use it in better ways ! Our brain is composed of two hemispheres but our education and our school training favors only one of them : the left brain. Which is the rational, sequential and logical part of our brain. 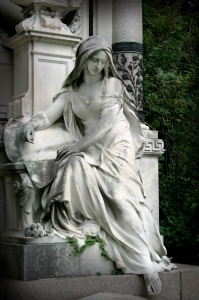 But there is another part, the right one, which is more intuitive, associative and which grasps everything in one go. The picture here below perfectly illustrates that partition of our brains. 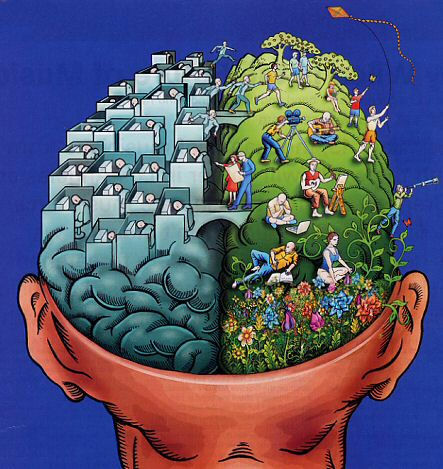 Most of the time, men use their left brain, while women tend to use both hemispheres at the same time. Mind mapping reconciles us with a more holistic use of our grey matter : with its very logical and hierarchical structure, its stimulates the left brain, while the use of keywords, pictures and colours tickles our right brain and enhances our creativity skills. Mind mapping, with its radiant and associative thinking also helps you to memorize better, which for students is a real gift : with the support of mind mapping, visual and lateral thinking techniques, you will learn faster and remember for a longer time. Isn’t that good news ? Discover our Workshop too ! INTRIGUE ? Please read here for more info !